This fun and aspirational television series encourages children to celebrate and take care of their local area to help give them and their families a sense of pride in where they live and their community, plus an understanding of the importance of looking after their surroundings. In each episode Mr Bloom meets a small group of children (Tiddlers) who excitedly explain why they ‘love where they live’. Through shared activities each community’s special and unique character is discovered. 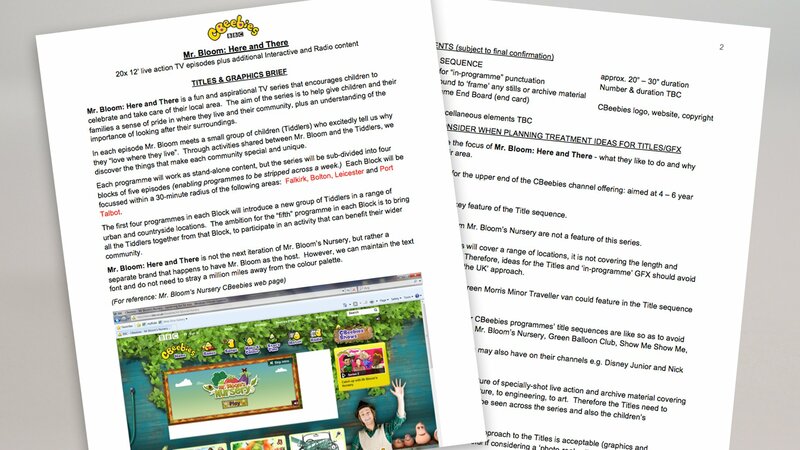 Following a successful pitch, Bottletop was asked by CBeebies to create TV titles, stings and content graphics for the new series, featuring well-known children’s presenter Mr Bloom, with a target audience of under-6 year olds. Animated stings, static backgrounds and logos were also to be produced to enhance the programme’s online presence as well as for use in printed materials. A quirky, hand-drawn, home-made look and feel that would appeal to a young audience. 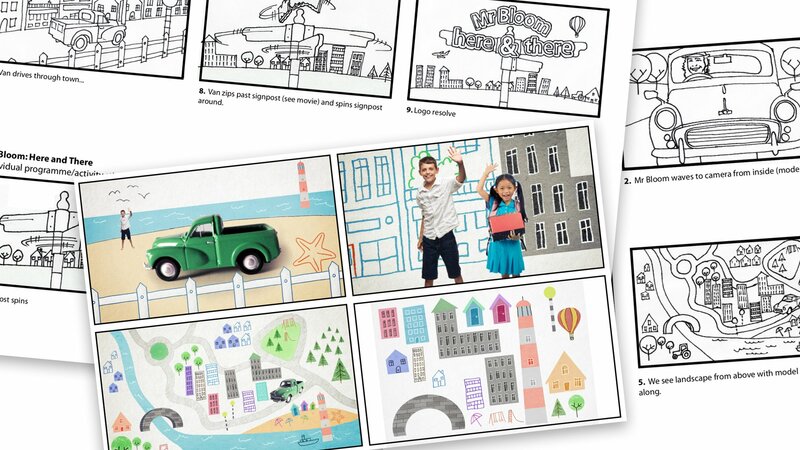 Children would be immersed in the drawings by compositing them with the drawn environments reflecting the magical world of Mr Bloom who would drive through the same landscapes in his famous Morris Minor. Instead of the real car we would use a stop motion model to enhance the home made feel. The mixed media use of cut outs, live action and drawings could then be consistently used across the programme content for maps, framing cutaways and video inserts. We first sketched out the story of the title sequence in black and white for feedback from the CBeebies producers before moving on more detailed colour versions. The colours and textures of the illustrations replicated children’s crayon and pencil drawings. 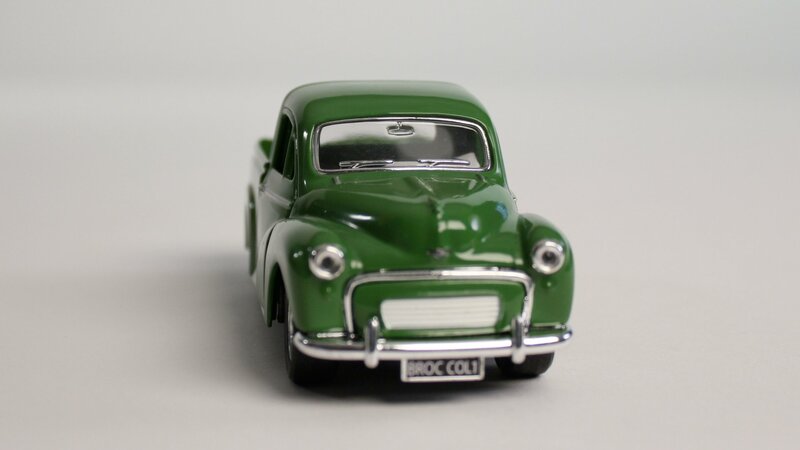 Mr Bloom’s car was shot as stop motion using a scale model. 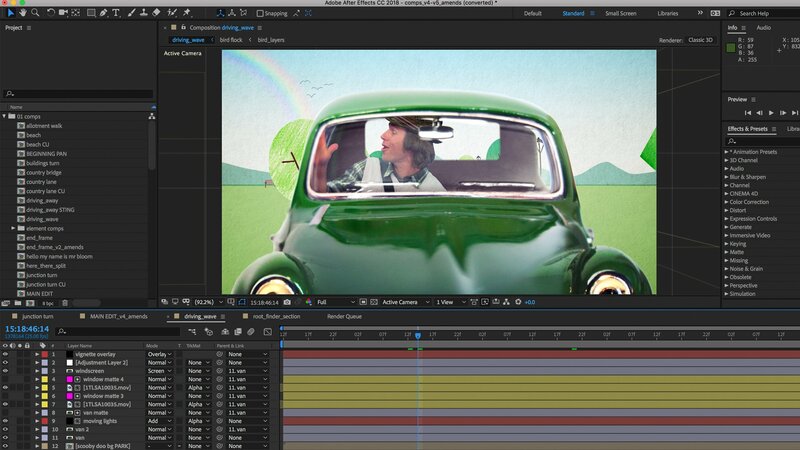 The children and Mr Bloom were filmed against blue and green screen, singing the theme tune, and ready to be composited into the environments to create the final animations. 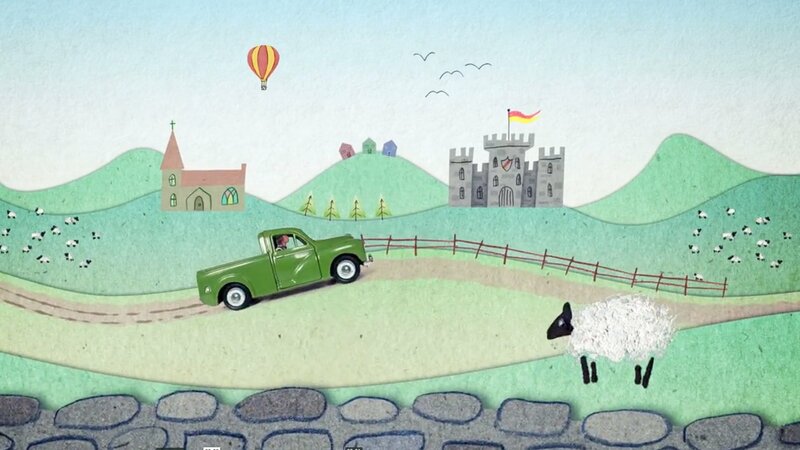 The Bottletop team hand drew the animated landscapes through which Mr Bloom travelled. We deliberately chose natural, fairly muted colours to reflect the natural environments and locations used in the series. Using a combination of live action, stop motion and hand drawn landscapes we rough cut the images to the theme song sung by Mr Bloom for CBeebies’ producers to approve before moving onto the final edit. See the finished project here.